You want your smile to be remembered by others due to its beauty, not distracting flaws. Dr. Levenson creates unforgettably attractive smiles with Complete and Partial Dentures in Worcester MA. Restoring the appearance of your smile is just one of many benefits of partnering with Dr. Levenson, who is among fewer than 100 dentists trained to fabricate Fountain of Youth Dentures™. Placement customized to unique needs and specifications, at a position that promotes the best muscular function and builds your bite. FOY™ Dentures are distinguished favorably from other options, in part, by being modeled after dynamic impressions to better mimic the natural fit, feel, and function of your teeth than those conventional dentures whose impressions are rendered when the patient’s mouth is at rest. Other modern approaches such as implant-supported dentures can be used to replace a few, several, or all your teeth in a way where your new smile is indistinguishable from natural, healthy teeth. 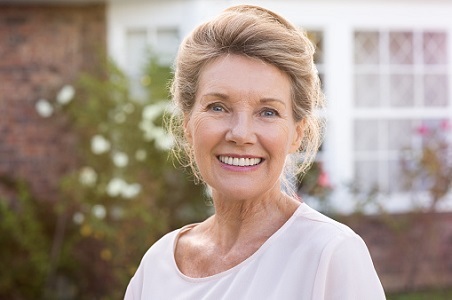 Schedule an appointment during a time that fits your schedule, including evenings, to find out more about today’s dentures and how they can transform your looks and life call (855) 849-8255 today.